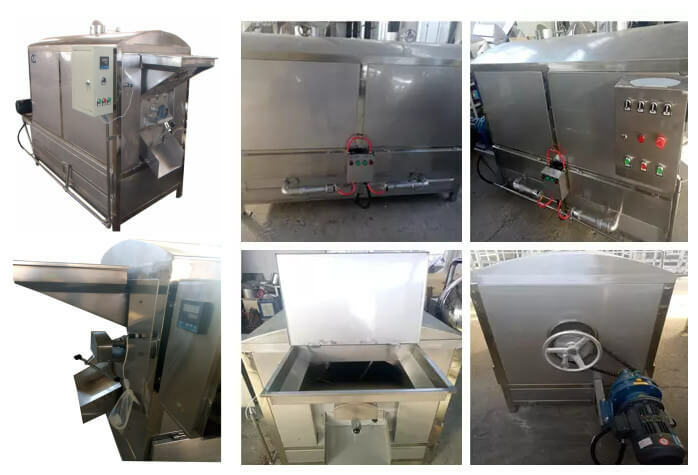 The multipurpose drum-type roaster machine is mainly used in food industry for drying and roasting the granular materials, such as peanut (with the hull or without hull), chestnut. 1. Multiple heating methods: electricity, oil with the fast heating result. 2. Automatic temperature controlling device (0-300℃): taking the hot air as the heating medium, so the product can get constant and even heating. 3. This nut roasting machine can be used together with an oil press. 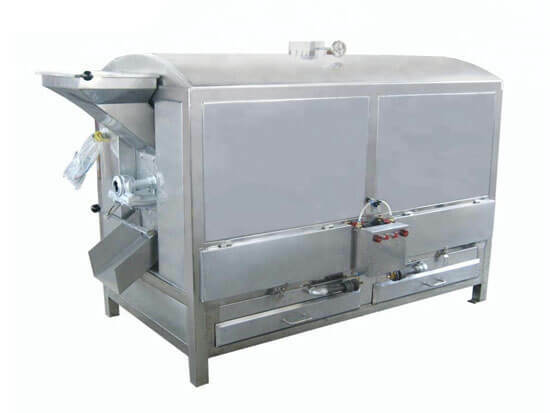 After the nuts are fried by roasting machine, it can highly improve oil yield and reduce machine wear. 4. Rotary drum design for even heating. 5. 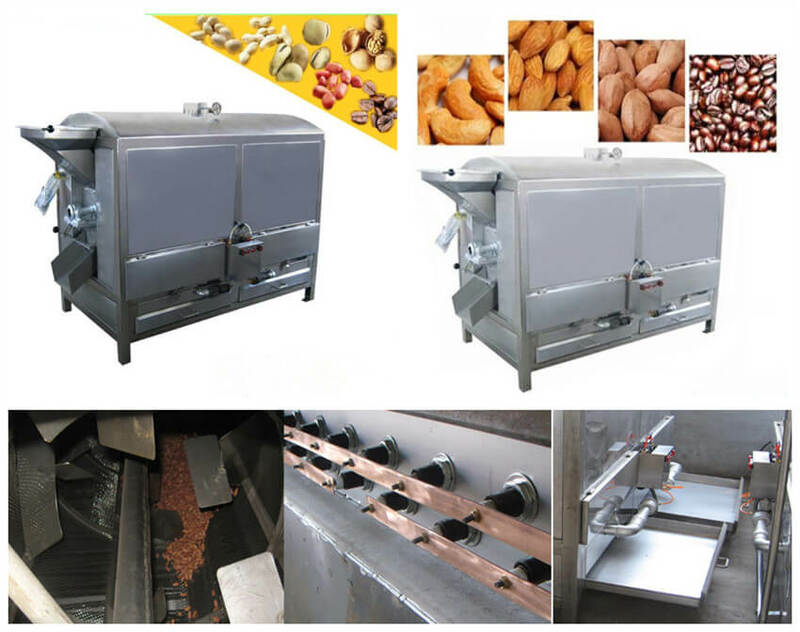 Automatic roasting and discharging, the roasted nuts and seeds are of bright color with fragrance. 6. Recommended roasting time is 15-20 minutes. 7. Easy operation and maintenance, energy saving, stable performance, low operating cost and long service life. 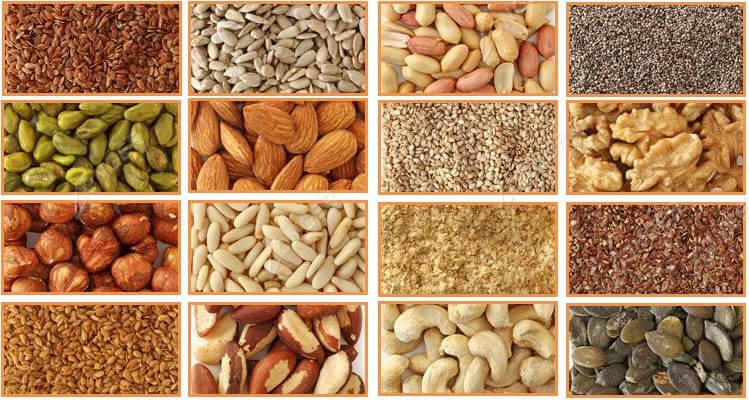 Available for peanuts, sunflower seeds, sesame, soybeans, chestnuts, filberts, melon seeds, pumpkin seeds, pine nuts, horse beans, almonds, walnuts, pistachios, etc. There are so many kinds of roasting machines, so choosing the right machine for the roasting materials and purposes is very important. But some purchase principles should be observed. 1. The materials to be roasted: their shape, heat sensitivity, fluidity, damage possibility must be taken into consideration. 2. The economic condition: if you are in the good economic condition, you can choose the automatic ones; if not, you can choose some simply-equipped ones. 3. The energy condition: this is about the fuel for the machine.